A major generational shift is underway in the B2B world. Generation Y – also known as the Millennials – is the largest active generation in the workforce. More Millennials are taking on roles of great responsibility in business, including B2B buyer roles. They are no longer just contributors in the process, but often, its guiding voice. That presents interesting challenges and opportunities for sales professionals. These buyers are not just “digital natives,” but mobile and social natives. Platforms such as Facebook, Twitter, LinkedIn and all the variations are as natural to them as the phone was to a previous generation. How can sales pros leverage this new reality and use social media to the utmost? Social prospecting is highly effective and roughly analogous to old-fashioned prospecting, so it’s a terrific entry point. 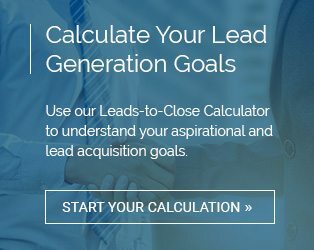 LinkedIn gives motivated sellers a tremendous amount of very specific data on each potential lead, so they can narrow their efforts down to best fit possibilities. Networking can take many different forms on social media. You may wish to determine if you have any contacts in common before reaching out to a buyer. Or you could find yourself posting on social communities you both frequent in order to build a rapport before chatting. Proactive selling always includes some element of educating the customer. The sales pro should come equipped with compelling content for every stage of the buyer journey. Of course, don’t just deploy content and wait: Be ready to have a complete conversation. The story isn’t over once the buy is made. Social media offers tremendous opportunities to keep a relationship active. Unlike phone or emails “out of the blue,” it’s natural to reconnect with people on social media. This helps you keep your finger on the pulse of their changing needs. All in all, social selling comes down to one factor: Growing your business by expanding and deepening your relationships. After some time exploring the possibilities, you should develop repeatable, trustworthy processes for doing just that – approaches that work for you. Reliable social selling is a competitive differentiator. It can become a key plank in your whole selling strategy. If you find techniques that work in your segment, odds are good others in your team will also benefit. The best way to sharpen your understanding of sales tactics is to teach others. Social selling isn’t just a fad: It is transforming business. That’s especially true in B2B, where LinkedIn reigns supreme. Get started building social selling momentum today to excel in it tomorrow.